If you really want a fun character to inhabit for Hallow's eve, I suggest Lord Disick. For all of you fans dressing up all spiffy as well as Keeping Up with the Kardashians, a Scott Disick Halloween costume will give you free license to act like an elitist tool for a night. Ah, the transformative power of disguise! You can address all your friends as "peon," carry a cane, and shout "VERSACE, VERSACE, VERSACE!!" at inanimate objects. Can you say, best Halloween ever? Damn skippy, peasants. If there’s any song that perfectly encapsulates Lord Disick’s flamboyant, ostentatious, dandified approach to style, it’s The Kinks' "Dedicated Follower of Fashion." "There's one thing that he loves and that is flattery/ One week he's in polka-dots, the next week he is in stripes." Is that Scott Disick or is that Scott Disick? Because other than his money, his contempt, and his creature comforts, Lord Disick loves his clothing. Sweet, pocket-squared, ascot-bound, foppish yacht-club clothing. The more you look like Pete Campbell’s dad, the better. 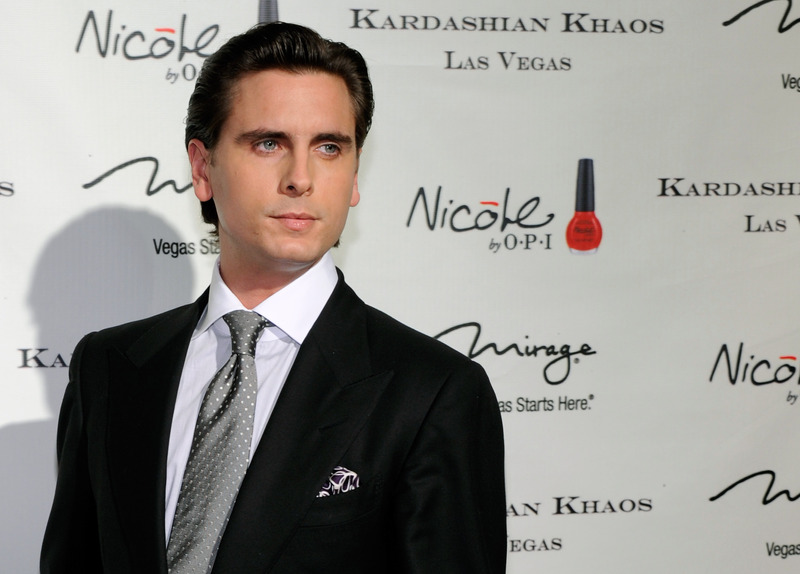 Without further ado, here's your guide to dressing like Lord Disick, the consummate fancy man, for Halloween. Get ready to raid your dad's neglected '80s wardrobe for any Patrick Bateman-reminiscent shirts with starched collars. Or, even better, your '40s gangster grandpa's old chest for gentlemanly accessories. Something like this one from Zara men. Or, ya know, find the cheapest approximation of this from The Salvation Army. This little diddy from Men's USA is a bit steep at $225, but ten bucks says you'll find its doppelgänger at the local goodwill. Who desires to make your acquaintance? EVERYBODY!! How about 12 of them for $3, handily accessible on Ebay. Variety will serve you well. This pair of $24 shades from AJ Morgan will really give you that smug Lordly look. You will wear them everywhere. A $23 pair from Charlotte Russe should to the trick. You just need some gold paint. How about getting an $18 one from Old Navy and wearing it again? It should transfer well from "d-bag costume" to "totally normal." A $10 "Steampunk Walking Cane" from Spirit Halloween sounds about right for that. This slightly modified option from Music in Motion is $19. Perfect for your coronation selfie. And you have yourself a little lord!